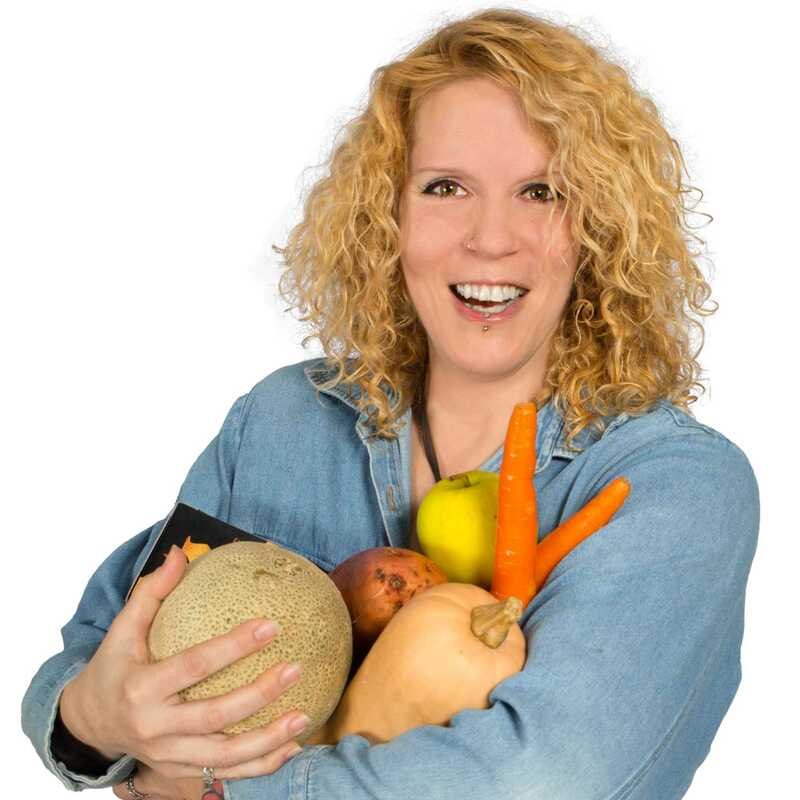 I am Sonia, a 44 year old French Canadian from Québec (Canada), single mother of 2 [fully grown] kids, who’s turned her life around at age 35 and decided to embrace a healthy lifestyle and clean-up her diet quite a bit. My whole life I have struggled with my weight, and many times I have fallen victim to the diet syndrome. I would starve myself and eat “rabbit” food for months. Sure, I would lose the weight, but it would only be a matter of time before I gained it all back, because I never knew how to feed my body properly and, more importantly, make it stick. That year, I decided that I wanted to shed some [ahem 50-60] pounds and get in shape. I had already quit smoking 2 years prior and had dramatically lowered my alcohol consumption the year after that, going from several drinks a day to drinking only on the week-ends. Eventually, the need to drink alcohol completely subsided and I will now only indulge in the *very* occasional drink. 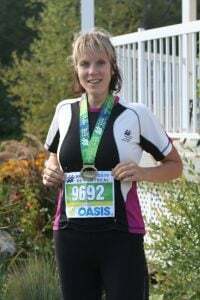 That’s when I started running and set a goal to run 10km at the Marathon de Montréal in September of 2010. Well, not only did I achieve that, I surpassed it! I actually ran a half-marathon, which I completed in 2 hours, 1 minute and 40 seconds. 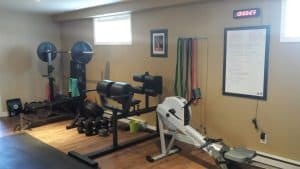 Throughout the years, I always found a way to stay motivated and keep my body active by alternating between resistance / weight training, cardio, yoga, cycling, rowing and more recently, crossfit and weightlifting. To this day, I make it a business to be physically active at least 5 days out of the week, for a minimum of 45 minutes per day. Another resolution that stuck! For sure you must think that I love exercising! Well, the truth is, I don’t. I don’t always enjoy it and oftentimes I would gladly skip but I know just how good it is for me and how it makes me feel so much better about myself. Plus, I must admit, it really feels great to be in shape. 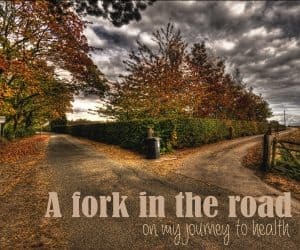 The “food” aspect of my journey is the main reason why The Healthy Foodie came into existence. It was a means for me to stay on track and keep a record of the recipes I’d created and meals I’d eaten. What started as a simple personal online food diary soon became a real passion for me. It inspired me and helped me expand my boundaries and make tons of new discoveries, through sharing recipes and ideas with other people just like me. I gave tracking my calories, counting and tweaking my macros a real good shot – I tried taking all kinds of supplements, too, all in an effort to get what I considered to be “my ideal body”. I eventually became overly obsessed with putting nothing but healthy food in my mouth, so much so that it became almost detrimental to my health… and to my overall happiness. 8 years down the road, I’m realizing that “healthy” doesn’t have to be flawless. In fact, there exists so many different versions of healthy that it’s impossible to get it perfectly right; it is pretty much what YOU make it, want it, or believe it to be. Truth is, for every study out there, praising the benefits of one thing or another, you’re certain to find a bunch more that state the exact opposite. I’m sure we can all agree that refined sugar is bad for you and that Fruit Loops and Pop Tarts aren’t your optimal breakfast items and could under no circumstances ever be considered to be healthy. But when it comes to real food, though, i.e. meat, vegetables, fruits, nuts, grains and the likes, I think that you need to do what works for you. At least that’s where I am at now in my quest for a healthier me: working hard at finding MY OWN HEALTHY BALANCE. Join me, if you will, on this journey to a healthier me! 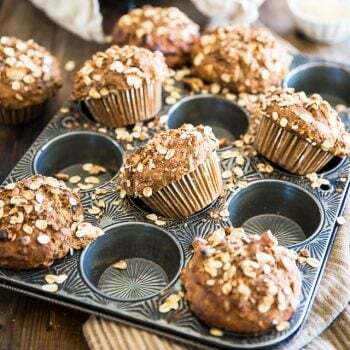 What works for me might not necessarily work for you, but still, I have no doubt that you’ll have no trouble finding a few recipes that fit YOUR current beliefs and circumstances. So, feel free to flip through the pages of my food diary and, by all means, leave your comments and feedback: I absolutely LOVE hearing from you guys! Beautiful pictures and the dishes look delicious. I am going to try the apple, goat cheese and walnut pizza this week. Some of my favorite things. THANKS! Thanks to you! I hope the combination works for you too! Let me know how you liked it! I am going to try the beef marrow, no possibly the beef jerky. Is 170 the optim temperature? I can go lower in my oven in necessary? Intrigued by your recipes I read your ‘about this blog’ biography. Now I am subscribing…my mother is French Canadian too (me? I am just a half bred…other half being Polish/American). The pictures made my mouth water (even after eating). I can’t wait to browse some more! Maybe I will even open a blog of my own…dedicated to wonderful mouthwatering recipes I have acquired after almost 20 years in Turkey. Thanks. Happy cooking. Hey thanks Sandi! Good to know my pictures are doing their job! 😉 Where is your mom from, if I may ask? If you do start your own blog, make sure to share you drop by here and share your addie! Sandi, I had a chuckle over your comment! My hubby is also a “half breed”, but nearly the mirror image of you! His Dad is French Canadian, and his Mom is Polish-American! Lol! She was born in St. Donat but spent most of her life (before meeting my American father) in Montreal. I found your site through a recipe posting on Tastespotting.com (congrats by the way) and I really enjoy your website. I’m interested in quinoa although I’ve never had it because i wasn’t sure what to do with it. I’ll definitely be trying one of your recipes this weekend. Great job and looking forward to following you. When / if you do try one of my recipes, please drop me a line to tell me about your experience… I always appreciate feedback! Whoa. Just “Stumbled Upon” your site, literally and I think we are indeed kindred souls. I’m thinking we should get some of your articles up on my site!! Let me know! Btw, your hummus looks ridiculously smooth, I’m like drooling right now.. Thanks Ande! I will look into that and get back to you for sure! Hey Sonia! I just discovered your blog from the Women’s Health website. I love your story of how you transformed in to “The Healthy Foodie”! So inspiring! And really, a lot of people don’t realize that transitions into healthy living are usually a gradual process. I used to smoke and drink pretty heavily in college, I practically LIVED off processed junk and I never exercised. Now I rarely ever eat anything that comes in a package (besides my beloved Larabars) and I go stir crazy after more than 2 days without physical activity! Your photography is absolutely amazing! I’m still trying to find my way around my DSLR. I know I’ve come a long way from what my pictures used to look like, but I’ve still got a lot to learn. Now, if you’ll excuse me, I’m going to go explore more of your gorgeous foodie concoctions! I’m happy that I stumbled upon your blog! I’m also a health food nut : ) You photography is great, do you mind me asking what kind of lens you use? I used to work for a cancer support community in New York City called Gilda’s Club. I know these locations are in Toronto, and you’re in Quebec, but maybe their online resources will help http://cancersupportcommunity.org/General-Documents/canada.aspx. I know this is a very sad time for you, but I hope this helps with the whole cancer experience. My thoughts are with you. Wow, you have made some major changes in your life! I looked at some of your recipes and they are wonderful with beautiful pictures. I love your story about “Murphy’s” pizza. And I love the idea of grilled peaches on a pizza. My family, well my great-parents and ancestry, is from from Quebec. I haven’t visited yet but want to take my children, especially to Quebec City. My great-grandparents on my mother’s side are from St. Maurice, Champlain, and Trois-Rivieres, St. Maurice. Glad I found your blog and look forward to visiting again. By the magic of pinterest I was led to your site, and I’m so very glad was. 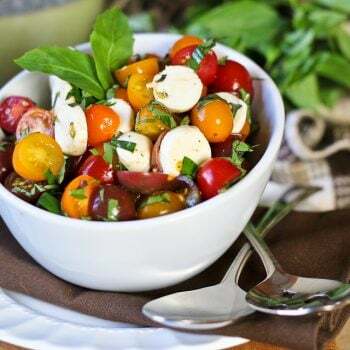 I’m huge lover of food blogs (with having started my own quasi food blog not long ago), but it’s rare to find one that has healthful food as the subject! Your recipes look amazing, and the photography is swoon-worthy. I’m definitely becoming a follower! Your story resonates with me very much. Whilst I don’t drink, I can relate to the yo-yo dieting and losing weight only to gain it all back and then some. I am not a healthy eater at all, but reading your story is inspirational. I have been quite inactive lately. As a matter of fact, I’m supposed to do a half marathon this weekend that I’m not doing after all because I didn’t train for it at all. I am putting your blog on my blogroll an inspiration. Thanks for sharing your story. Hi Sonia. My family is about 5 weeks into our healthier lifestyle journey and it has improved ALL areas of our life, some of which we never expected! For instance, the most frequent thing I hear from people is how organic food is so expensive. But when I look at how much money we save by not going out to eat (and paying a premium price for toxic food), we are actually saving money while buying about 80% organic. Not to mention i feel absolutely spoiled by our premium, healthy, delicious fare these days! What have your experiences been in regard to grocery spending? Greetings from Puerto Rico!!!! I just found your website while browsing the internet and it is great. I’m excited about trying some of your recipes. The photography is also fabulous, makes you want to dive right on in. I know this is a lot of hard work for you. Thanks!!!!! hi LOVE your website/photos/recipes/amazing descriptions! what kind of camera and lens do you use? and any tips for a new food blogger? I just started and you’re my inspiration!!!! Thanks! Thank you so much, Melissa! All the pictures that you see on my site were taken with my old faithful Canon EOS RebelXT, some with the original lens that came with it (not even sure what the specs are, it’s a 28-55, I think, but I never really paid attention) and the more recent ones were taken with my 50mm f-1/8 lens. I just recently upgraded to a Rebel T3i, but I have yet to post any of the pictures that I’ve taken with it. I have to say that I really love it, it’s a brilliant camera, but it will take some getting used to! You can say that you’ve gained a new/obsessed follower of yours! I started a change in my lifestyle almost a year ago, with some ups and downs but i get in the right track and i’m so happy i did it 🙂 I ADORE your blog because it has it all: amazing photos, funny descriptions and the recipes are the best because you always “healthify” every food in every way..
I’m all egg whites now so i wanted to know if you have any ideas or suggestions to use the yolks because it doesn’t feel right to just throw them right? I would so appreciate your help, thanks honey! As for the egg whites, I too use A LOT, but I do mean a lot! What I do is I buy it in a carton. It has many advantages, but mainly, I don’t waste yolks, and since the packaged egg whites are pasteurized, I can use them “raw”, so I always throw some in my smoothies for a little boost in protein… Make sure to look for them at your local grocery store, I’m pretty sure they would carry them. Here in Quebec, they are commercialized under the name Simply Egg Whites, but I’m sure you would have an equivalent where you are. I read about your site on Pinterest so decided to check it out. I, too, feel the need for a healthier lifestyle and love to eat. I’ll be sure to try some of your recipes. Actually, considering something w/chicken tonight! Thanks for your blog and continued good luck. Thanks a bunch Miki! Happy you found me… 😀 Make sure you tell me how you like the recipes you end up trying! I always like to hear people’s feedback! Thanks for your good luck wishes, and right back at ya! Just keep at it, and you’ll see that eating healthy can be just as fun, if not more, than eating all that commercially prepared “junk”. Rock on! I am very excited about coming across your site! Was led here through Pinterest and finding it difficult to leave! My mouth is watering as I browse through your delicious recipes. I was wondering how you are able to come up with the Nutrition Facts? I like to cook for my dad who has to watch sodium intake and curious as to the facts accuracy. I have shared bits and pieces here and there, but I never did a dedicated post or a page on the subject. Probably because I feel very ill equipped when it comes to taking pictures. I’m no professional, you know! So I guess I don’t feel very comfortable giving people tips or advice on a subject that I don’t really master. Yay please do! Just so we can get an idea of what you’ve got, what you use, how you edit. I guess you don’t struggle with lack of light in Quebec as we do here but I would love some advice on your lighting for sure! Not sure about that, Christina… we don’t get much light at all during the winter months! Most of my pictures are taken in almost pitch dark during that time. I can’t wait for summer to be here again. I so much prefer to work with natural light! Hi Sonia! I’m so thrilled to have stumbled across your website. Everything here looks absolutely delicious and I’m very much looking forward to trying out a few recipes! I’m just about to finish my last semester of my junior year and I have struggled all through college with making healthy food choices (shocking, I know… ) Although I’m not very experienced in the cooking department, I am ambitious and determined to change my overall lifestyle, and I think a lot of your suggestions and ideas will help me so much! I just want to say thank you for the inspiration, and happy cooking! Thank you so much for your kind words. Glad to hear you’re planning on trying some of my recipes. They shouldn’t give you too much trouble, most tend to be rather simple, for you know what? I used to think that I couldn’t cook myself, before I started experimenting, and I soon came to realize that cooking isn’t that complicated after all. Especially not when you keep it quick and simple! Make sure you let me know how you liked the recipes that you try. I always appreciate getting feedback, stories and substitution ideas! Just made some homemade almond milk today, and I’m in love with it! I’m really looking forward to using it in my breakfast smoothies. I’m also planning on using the almond pulp for making the baked apple cinnamon quinoa squares, I can’t wait to see how they turn out! 🙂 Thanks again Sonia! Hi there! I am your newest follower. I found you via Pinterest (your recipe for orange rosemary pork tenderloin). and I am soooo pleased! I love your blog and am planning on including some of your recipes in my menus for next week. I also have a blog, and would love it if you stopped by. I post a clean lunch menu for the week and also a menu for healthy suppers. I am also from Quebec, but now live on Vancouver Island. thanks for the inspiration! so nice to meet you! Hehe! Nice to meet you Kim! Glad you found this place, I really love having fellow Québécois around! You bet I’ll check out your blog! I’ll go and do that right now! Thank you for considering adding some of my recipes to your weekly menu next week. I hope you that will like those you decide to try and that you will take a minute to let me know how they turned out. 🙂 Feedback is always MUCH appreciated! Je comprends ce que tu veux dire! Même si j’essaye de suivre les règles Paléo autant que possible, je ne suis pas aussi intense que d’autres sur le sujet. J’essaye de suivre l’idée générale mais il y a beaucoup de bonnes choses que je ne suis pas prête à sacrifier. J’ai bien hâte d’essayer tes recettes dans mes journées “de triche”. So glad to have found your blog! Great desserts & beautiful pictures! Also, I love the fact that you don’t sweeten EVERYTHING with artificial sweeteners, aka splenda or alternatives — i cant stand them! Have a great day! After getting hooked in by the chestnut cheesecake, I decided to try the Whole30 too. I am starting week 2 on Monday and am loving it so far. After nagging at him for years about eating out every day for lunch, my husband has loved everything I’ve cooked so much and the way he feels eating clean that he is on board too. Thanks for sharing, I’m a big fan! YAY!!!! That is simply AWESOME, Cambrey! Congratulations on taking the plunge. Took me forever to work up the courage to do it, but now that I am “in” it, I am loving it! I almost don’t want it to stop. For sure, it will have had a significant impact on my diet and the way I eat. So happy to hear that you are loving it also AND that your husband is on board too. It doesn’t really get any better than this! Your blog is awesome. Like you, I love the clean, natural and wholesome recipes and all for healthy and unprocessed food. I am looking forward to trying the wholewheat pizza dough next weekend. Keep it up! I will definitely be following your website closely for more great recipe ideas! Thank you for sharing! You and your site are like a gift from God!! Seriously, I’ve roped my husband in to doing the Whole Life Challenge starting in September. With your help , we can enjoy it 🙂 thanks for your hard work ! OMG, Sharon, thank you SO much for this. Your comment could not have come at a better time. You really brightened up my day. Thanks so very very much. I hope you do go through with the challenge and if you ever need help or inspiration, please, do not hesitate to get in touch with me! 🙂 You can do this, you know you can! Your cauliflower rice recipe has to be the best yet! I have been Paleo now for almost a year – I still eat some dairy – organic grass fed butter and a little milk in my coffee and organic bio live yoghurt once a week, but my whole approach to food is as you say so liberating! I never count calories these days, I have realised that good fat is my friend and I aim to make every meal as tasty as possible and with help from your site and others it’s very easy! I haven’t lost loads of weight but Paleo eating combined with my excercise of lifting some heavy weights and sprinting 2 or 3 times a week and yoga twice a week has resulted in a much more toned leaner me, which at almost 50 I am very proud of! Thank you for your recipe inspiration! For a long time I’ve been following your interesting blog and enjoying your writing style. I loved the old recipes before your Paleo days, but although we eat grains, I’ve tried many of your recipes to date. Congratulations on becoming a full time blogger and on the new website! Excellent work and detailed pictures gets you five stars from me. Many thanks for all the recipes and effort you put into all you do. Thank you for all the recipes. I’m new to the Paleo diet (about a week into it) and your website is an inspiration and motivation to keep at it. It can be difficult to make a lifestyle change and your recipes will help make the transition smoother and help me to not starve! Paleo just makes sense to me. It’s the only diet change that I have ever been truly excited about. I hate cooking as a general rule, but Paleo has gotten me excited to be in the kitchen! I’ve done more home, from scratch, cooking in the last week, than I have in a year or more. I look forward to trying more and more of your recipes. I made your coconut pudding today and will probably have it tomorrow for breakfast. I added black berries. Yum! Ha! If there is one thing that you never do on the paleo diet it would be starve! Oh, and binge on pizza or pasta, but that a whole ‘nother story! 😉 Seriously, Amanda, I’m really glad to be an inspiration to you, I hope that you will find plenty of recipes on here to keep you inspired long enough for you to learn the ropes and eating paleo becomes natural to you. You’ll see, it’s bit tough at first, you’re constantly wondering whether you can have this or that, you almost need to carry a list with you, but it soon becomes like a second nature. You just relearn how to eat and you’ll probably even find it much easier than your old ways. Hey Sonia! I just found your blog and I am completly mesmerized, this is such a good blog!! I love your site, so glad i found it! What great recipie! Love your recipes! The pictures captured my interest, but the recipes kept me coming back. Then there’s your story… Reads a lot like mine except that I’m 52, and my husband and 7-yr-old son constantly present challenges to my ideas of healthy lifestyle changes. Different agendas…;-). My husband tries to be supportive, but my son is 7: it’s all about him;-). Thanks for the motivation, support, and the beautiful (and delicious) evidence that healthy eating can be sumptuous and satisfying! Sonia…i cannot thank you enough for awakening this food passion! Your recipes are amazing…i’m planning a weekend if attempting to make the omghee! Lol…followed by a killer paleo pizza on….you guessed it….caulicrust! The first thing I should say HI sweetheart My name is jennifer and I’m totally impressed I mean everyone has problems gaining weight especially in summer vacation and I’m really trying to lose weight It’s much harder if your’e a teenager I’m struggling But I hope something will happen I always remember what my granny told me:RULE no.1 (NEVER GIVE UP EVER!!!!!!!!!!!!!!) and I really like you’re hair My hair is the same it’s SO curly everyone calls me CURLYMOP Daft isn’t it!!!!!!!!!!! Well Sonia I wish you the best for you and for you family and please pray for me that I’ll lose weight quickly . I like your website though Well, goooooooood luck see ya Beauty princess…………. Indeed Jennifer, your granny is so right: Never give up! If there is one thing I regret about this whole journey of mine it would be not to have started earlier. I so wish that I had started doing what I am doing today when I was 16, NOT 35. Trust me, it’s NOT harder if you are a teenager. Each stage of our lives comes with their own set of challenges. All I can say is keep at it so that 20 years from now you can look back and think to yourself “boy am I glad I didn’t give up”. Go girl, you got this! Sonia! Finally a mayo recipe that really REALLY works. It’s so easy. I can’t tell you the LITRES (metric in SA) of olive oil I have wasted. Fabulous. So happy to have found your website. I too,wish I’d been more aware and as disciplined re exercise as I am now. And I’m older by far than you are……. Most of my family and I practice the “Banting” lifestyle – however I’m inclined to think I need to give the dairy free a try. After 50 I think the lovely fresh cream tends to migrate to the waist. I just want to say how much I really enjoy your blog. I originally found you on Facebook by posting pictures of delicious Paleo recipes to my FB page (which I also share with all my friends). I enjoy your sense of humor and playfulness. I find that if I want a new Paleo recipe, I turn to The Healthy Foodie and you always deliver. Thank you for helping me along my journey. Found your site when I Googled “paleo mayonnaise”. I think you used “foolproof” or “Easy” and I could just see in the Google result “even a child can do it!” I clicked on the link to your mayo, read the recipe, watched the video and I’m never looking back to store mayo again! Thank you! Couple quick questions. Do you know if the light olive oil still cold pressed, no chemicals being used to extract the last drops of oil? I need to buy an immersion blender. I noticed that the link for one in the mayo recipe takes me to a high-end model. Do I need all those extras, or will the Cusinart variable speed from Costco meet the majority of my immersion blender needs? Firstly, welcome to the obsession of making your own mayo at home. Be careful, it’s quite addictive. You might find yourself making several different batches in a week, different flavors, you know… using different types of oils and different spices and aromatics. To answer your question with regards to olive oil, the International Olive Oil council states that refined olive oil (i.e. light tasting) is the olive oil obtained from virgin olive oils by refining methods that do not lead to alterations in the initial glyceridic structure. It has a free acidity, expressed as oleic acid, of no more than 0.3 grams per 100 grams (0.3%) and its other characteristics correspond to those fixed for this category in the IOOC standards. This oil is obtained by refining virgin olive oils (not olive-pomace oils) that have a high acidity level and/or organoleptic defects that are eliminated after refining. Over 50% of the oil produced in the Mediterranean area is of such poor quality that it must be refined to produce an edible product. Note that no solvents have been used to extract the oil, but it has been refined with the use of charcoal and other chemical and physical filters. As for the immersion blender, you don’t necessarily need the high-end KitchenAid model that I’m linking to. In fact, when I took the pictures, I was using a different model. However, that one died abruptly on me after what I considered to be a very short life, so I decided to get a better one and promote this new model instead. I don’t want to be promoting a product that I don’t believe in… That said, the choice of model is entirely up to you! Hello Sonia. I’m passionate for traditional Portuguese food. I am disclosing our wonderful products. maybe you’re interested in visiting us. We have organic virgin extra olive oil , wine, jams, olive pastes. Thanks and good food. I look forward to trying more recipes of yours, and thank you for sharing your journey with food and other things related. YAY!!! So very VERY happy to hear, Julie! 😀 Thank you so much for taking the time to let me know, too. I greatly appreciate that! Hi Sonia, I just discovered your site while searching for an easy mayonnaise recipe. Thank you so much for the detailed instructions and beautiful, helpful photos. Thank you Jackie! That’s very kind of you to say! Have you tried the mayo recipe? I’m Priscila from Brazil. Just loved your page. I’m a dietitian and will be always around. Congrats for your life project! Hi Sonia, I am 48 from Switzerland, single mother of two teenage kids. Today I accidentally found your blog and was immediately intrigued by the way you accurately describe how to do a recipe and your pics are a wonderful help. I decided to make cashew butter and nutella and both were a success! Congratulations for your inspiring blog, I’m looking forward for more of your recipes. Thanks sooo much. I’d love to follow your blog but there isn’t enough contrast between the very light grey of the font/words on the greyish white background. Would you please consider using black font/words so it can be easily read? Older eyes have a tough time reading things that don’t have enough contrast. I am a 47yo man from the US, I recently finished The Whole30, my life has changed. I listened to “It Starts With Food” in the car and became so motivated to change my eating habits to compliment all the time I spent in the gym. Long story short, I lost 25 pounds in 35 days , 240 to 215 and am still losing. Other than a beer or 2 after my 30 days Ihaven’t strayed far from The Whole30, I am afraid of what sugar will do to me. I have all but lost my taste for things not good for me. I found your site when I Googled cashew butter. My first batch didn’t work so well, I added olive oil to make it smooth, big mistake. Can’t wait to try your recipe. Looking forward to trying your other recipes, especially almond milk. Thanks for sharing your story and experience. HA! Years later, I’m still battling my sugar dragon, Paul. That addiction is the strongest of all, if you ask me, so be prepared to fight for a loooong time. It’s very well worth it, though, as you can already see. Keep at it, you’re doing fantastic! Take it one day at a time and always keep in mind that it’s only food, it has nothing on you. Always focus on the delicious food that you can have instead of dwelling on all that you can’t. Thanks for the quick reply, with all the crazy “diets” (weight watchers, no carbs, no fat, drastically cutting calories, juicing) I have been on with varying amounts of success, I feel like just eating good food has been the easiest, not starving at all, I eat when I am hungry, just make good choices. I don’t feel like I am on a diet at all, its more of a life style and a mission. I don’t feel deprived. Once I reach my goal weight, I may re-introduce some things on a very limited basis. Ok now for some questions, can I do most things with my food processor? or do I really need a good blender? (My wife is going crazy with all the stuff I buy for the kitchen (juicer not being used) good thing I buy cheaper models to test them out. Whats your take on using honey, agave etc? does it boil down to being just sugar anyway? Any good, real alternatives for sweetners? Any non dairy cheese out there? Any way to make it? I would choose a good food processor anytime over a blender, but I don’t think I could be without my Vitamix anymore. So really, I say if you are going to invest in a blender, go with a high-speed. As for my take on sweeteners, I think that sugar is sugar is sugar, but if you’re gonna use it, go with the least processed possible. The only ones that I use are pure maple syrup / sugar, raw honey, date paste and the occasional coconut sugar. Ok, I have been stalking your website long enough where I feel I need to tell you that you are by far my favorite food blogger! Everything you make is gold and just plain food perfection 🙂 I recently started following you on instagram and OMG I want to eat everything. Thanks for all you do, and I’m excited for your cookbook!! By the way since you’re busy lady, have 2 kids, same as I am, my friend recommended a challenge that she’s doing. Great challenge. Hello Sonia, just came across your blog today by using pinterest and saw your simple oven roasted butternut squash picture on it. Autumn is my favorite season and I’m sure to find many more recettes délicieuses on your site. Its always nice to find food blogs from people de Québec (I’m a 27yr old from Laval). Adding you to my favorites! Bonne journée! You’re really inspire confidence, because I’ve quit smoking several times, but never done like I have now. It’s been little over an year and this are looking for the better. Consistency really is a great helper and to keep things a float you go about in baby steps. First quit smoking, then start exercising. One thing at a time and one thing leads to another. You really are a big inspiration for me to keep moving forward. It won’t be in the same direction as you, but I will do it. Bonjour voisin – well maybe not exactly. I found your blog looking for recipes on Pinterest. Clean diet is a new lifestyle choice in my house and blogs like yours keep me going every day. The photos & recipes are so nicely done AND sharing your story makes you human and fun to relate too Good job!! I am 42 also with grown kiddos looking forward to following your adventure. Google search is my recipe book and more than twice or 3 times your precious face comes up and I try your recipe and am so happy I did! I look forward to years of good-for-you (and my sweet almost-90 y/o dad) cooking. What is the best way to support your work, please? So very happy to hear, Phyllis! And so glad that you liked the recipes you tried, too! Just come across your blog and recipes. I have just embarked on going Paleo and there are some great ideas/recipes on here that I am definitely going to try! Thanks for sharing!! Hi Sonia! I’ve just read that. I’ve really respected you a lot as well as the achievements you’ve done. when I read this I thought that you are the only one who can help me. I have some extra kilos and I want to get rid of them, actually, 2 years ago, I’ve lost 11 kilograms (from 72 kilos to 61 kilos) but later I’ve gained them back and continued to gain weight until I’ve become 77 kilograms (my current weight). My body now isn’t accepting any kind of diets any more. I’m really very depressed and really need help and some encouragement that I hope I will get them from you. So if you can, can you help me by sending me some advices and a trusted diet that can help and what sports or any thing else I should do to lose this extra weight I have. I really need your support. You are actually the only person who can help you, Zaina. It all starts from within and you have to do it all for you and no-one else. I’m not sure exactly what you mean by your body isn’t accepting any kind of diets anymore, but dieting isn’t really the way to go. Sure, you need to keep your calorie intake in check and if you’re going to lose weight, you need to consume less calories then you spend on a regular basis, but you mostly need to make lifestyle changes and make them durable. You need to learn to feed your body good food and to enjoy doing it. You need to learn to stay physically active and to fit that into your daily life, and not only as a temporary measure. But most of all, I think that you need to accept that being healthy is about so much more than just losing excess weight. You need to find a happy balance, a place that will be comfortable and will work well for you. You go girl! Thanks for the recipe which I will use with Chicken Scalopinne. I am French Canadian as well and wish you all the best. I have to admit that that I have seldom used Mangoes but it is never too late. Merci. I should have specified that it was mango salsa. In your post, you also re-directed me to a short you tube explanation of how to get the fruit out of the mango. Worked well and enjoyed it last night. C’est à ton tour Sonia, de te laisser parler d’amour! P.S. I bookmarked your blog, I will be back! I’m a little late to the Paleo Party but I’m going to finish it.. As I read “about me” page I got excited and ready to start the journey of finding myself.. I’m so excited that I found your blog.. Thank you so much for starting yourself and this blog.. I’m looking forward to learning how to cook all over again.. Thank you Kami! Good luck with this new journey of yours. I truly hope that you find inspiration on these pages, and if you ever have any questions about my recipes, please don’t hesitate to get a hold of me! Over the years, have learned about food substitutions instead of beef and pork, I eat Chicken, and Turkey, Regular and Ground up, and Fish. I too was a heavy smoker, drinker, overweight, and cancer survivor. Can hardly wait to begin preparing and eating some of these wonderful recipes. Thank you in advance for all of your hard work. Oui… C’est vrai le marché québécois pour le Paléo est vraiment faible. Mais je crois justement que c’est en partie à cause du manque de ressources en français. Dans l’Outaouais (chez moi!) et Montréal c’est probablement plus facile à cause de la grande concentration de gens très bilingues! Il reste que, les québécois sont tellement gourmands, s’ils savaient combien c’est bon et facile de cuisiner à la maison et majoritairement Paléo…. J’te jure, même Ricardo serait obligé de commencer à identifier ses recettes qui sont Paléo! Haha! 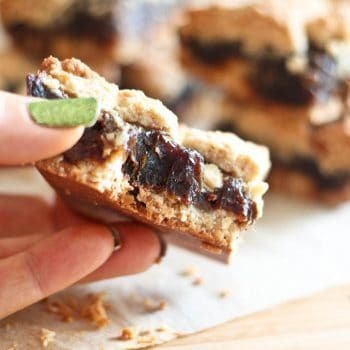 Certainement, plusieurs de tes recettes seront au banc d’essaie dans les prochaines semaines car c’est moi qui reçoit pour Noël cette année! Bonne continuation et vraiment, bravo pour ton énorme succès! Hi Sonia, I love what you are doing. I’d like to hear how your goals are coming along. 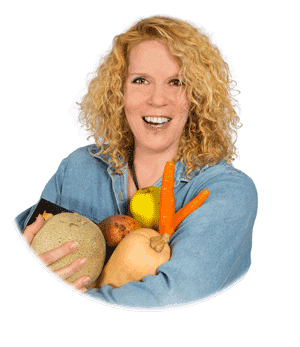 I am an Integrative Nutrition Health Coach. I’d love to connect and collaborate. I am married to a Chiropractic physician who practices Functional Medicine. We help our patients heal their issues through healthy food, proper supplementation, lifestyle and exercise. We are having a lot of success with a 14 Day Paleo program. We will be hosting a cleanse post New Year. We both did the plan prior to Thanksgiving and it was great. I plan to do it again with the group. Let me know if you want to learn more information. Absolutely, Linda. I would LOVE to get more info! I just found your site and excited to see all the great recipes. I must change my diet due to stomach issues and inflammation . You will assist me in being able to eat better. A co-worker recommended your blog. Koodoos to you for turning your life around! I have started my healthier journey at the age of 33 (8 years ago) and lost 77lbs. Stress in the last couple of years of my life threw me off “the wagon” but I did quit smoking 5 years ago and have no desire to go back. Kudos to you as well, Svetlana! And don’t beat yourself up for having fallen off the wagon. The important thing is that you held on to it and are now ready to hop back on! Dear Sonia, I’m from Southern Germany and found your page when I was searching for a special paleo cake.At the moment I’m trying to do your strawberry cheesecake. Hope it will become as good-tasted as it looks right now… thank you very much for your inspiration, will follow your site from now on. Hi, I just found your page and found it very interesting. I’ve always been thin even though I ate a lot of no-no’s before…but now at age 51, I am more focused in eating clean to keep myself healthy. I love your recipes and will be adding them to my menu. Sonia, I’m no kind of cook,yet, but I know what I like to eat, and you have a lot of what I would like. So I’ll be back. In the meantime, I notice that many, if not all of the blogs I have been reading, mention that Zucchinis hold on to a lot of water and affect the dryness or lack thereof in their recipes. I have just come across a possible solution. Glucomannan powder is said to be an inert perfectly safe to eat fiber that can absorb a huge amount of water in smoothies and other edible stuff. Amazon sells it and the reviews there are highly in favor of it. So, I have not tried it but intend to get some. Again in the meantime, how about you being the first foodie to publish a dry zucchini recipe??? I’ll wait for Sonia’s input, but I put zucchini slices into the oven when I want “dry”… or just cook them carefully. Lightly salting the zucchini and letting it sit to drain in a colander or over a wire baking rack for a few hours will draw a lot of moisture out of it. For me, it was a quick search for bonesless chicken thighs and broccoli recipe; made it immediately; my daughter-in-law was happy, so thank you! So glad to have stumbled across your site. It is refreshing to find someone who understands the unique challenges of Canadians when it comes to finding unpasteurized, grass fed, whole foods. We also can’t shop for organic veggies that are “in season” in order to cut costs (or we wouldn’t eat a large part of the year). I have been feeling a bit inadequate and somewhat frustrated in our quest to transition to a cleaner, more healthful foods, simply because we don’t always have access to the good stuff. Thanks for helping me to be okay with a “slightly imperfect” healthy lifestyle. What you have done for me is to open up a new mind set. I think a key part of what you offer is things that can be experimented with. Where I live, on the southern coast of South Africa, we have things to cook and experiment with that are not found in other parts of the world. I have started a pot of bone broth and I’m SOOO excited. Was looking for how to cook the Shish Taouk we brought home from Metro (they sell it for Adonis). Usually we cook it on the BBQ, but decided not to do that today and needed to know how to cook it in the oven. It made me smile when you wrote that you like Amir’s (as do I) and suddenly wondered if they are only in Quebec, or if you might be from Montreal like I am! So pleased to have stumbled on your page and am looking forward to trying some of your recipes. What an inspiring journey! And you have continued with healthy lifestyle through good eating and exercise. We really enjoy your recipes! Thank you Sheri! That is very kind of you to say! BRAVO Sonia pour avoir fait de TOI et de ta santé une priorité!!! Hâte d’essayer de tes recettes. Je suis de la région du Niagara en Ontario. Je suis une diète à base de plantes depuis janvier 2017. Merci Bernadette! 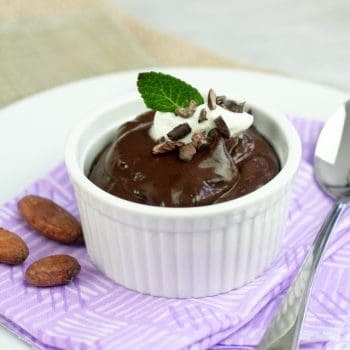 J’espère que tu trouveras ici quelques recettes pour t’inspirer.